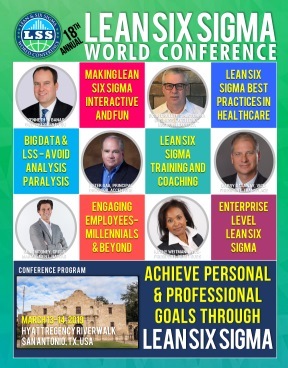 This is a must-attend, high-energy workshop for leaders, sponsors, and coaches; it focuses on how to prioritize and align breakthrough improvement projects with organizational strategic objectives. We will discuss defining and developing a strategy map, which cascades through the organization to executable projects/initiatives defined to achieve the strategic objectives and measured with KPI scorecards. The session will also discuss development and execution of a project prioritization matrix, as well as a strategy alignment matrix linked to the organization’s strategic objectives, to ensure no gaps exist and strategic goals are successfully achieved. The workshop begins with reviewing the concepts and elements necessary to develop a strategy map and strategic objectives. Cascading strategic objectives and key performance indicators (KPIs) are defined and discussed, setting the stage for brainstorming, prioritizing, and aligning, and generating opportunities for breakthrough improvement projects/initiatives. The prioritization matrix is intended for potential projects/initiatives to be evaluated and ranked against pre-defined criteria in categories of impact, effort, and risk – impact on organizational strategies; the people, capital, and duration of effort; and the management and technical risk – to determine projects/initiatives that will be carried forward. Prioritizing projects/initiatives results in efficient and effective use of resources focused on successfully achieving strategic objectives. Prioritized projects/initiatives are then aligned to the organization's strategic objectives, using a strategy alignment matrix, to determine if the projects/initiatives selected are adequate to achieve defined strategic objectives. Gaps in project-to-strategy alignment become easily visible, allowing for countermeasures to be developed in order to ensure strategic objectives are achieved. The impact of applying project prioritization and strategy alignment results in generating greater value for the organization and improved satisfaction of all project stakeholders.